Heavy, Half Inch Thick Flat Steel Bar Stock Table Base Bottoms. 14 gauge steel columns with welded upper mounting plates. 3" and 2" Diameter Steel Columns. 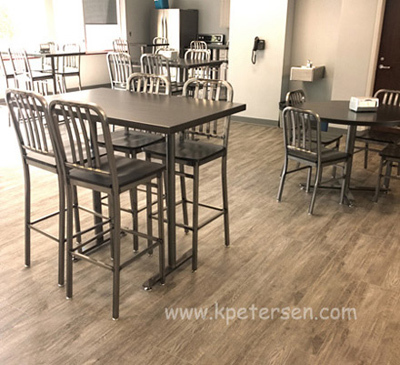 Dining Height, Bar Height Bases And Other Configurations and Sizes Available. 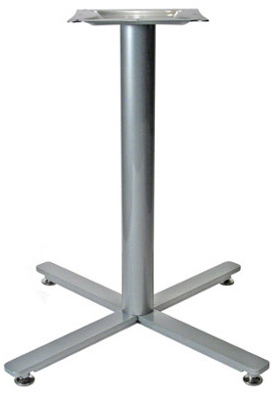 Table Base Steel Top Plate is 10 3/4" X 10 3/4" On 3" Diameter Columns. Table Base Steel Top Plate is 6" X 6" On 2" Diameter Columns. Steel Table Base Bottom 2" X 1/2" Thick. Steel Reinforcement Channel And Adjustable Leveler Glide Underside Detail Shown. 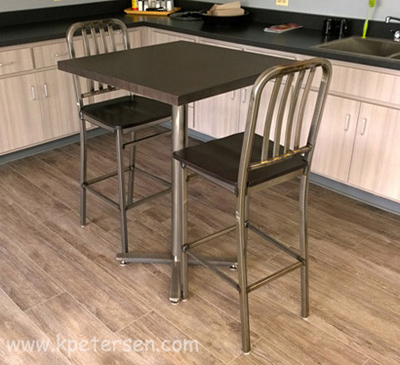 Clearcoat reveals welding and burnishing marks on the steel column and table base bottom.